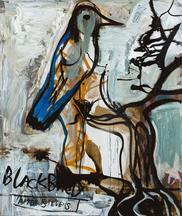 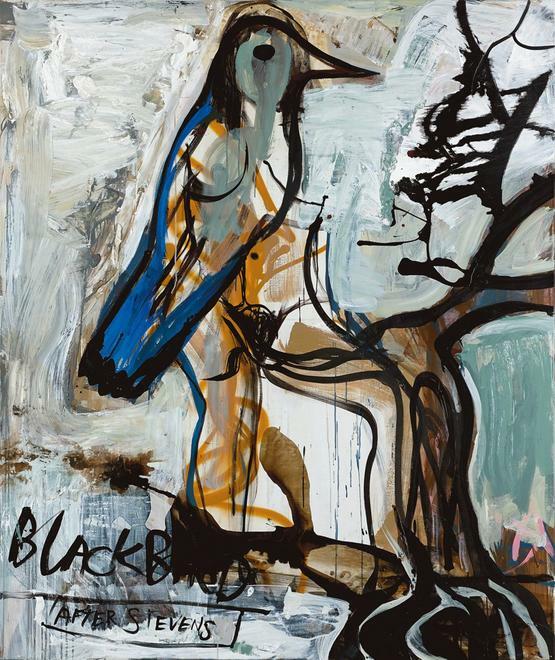 Tsibi Geva - Blackbird from Albertz Benda on Vimeo. 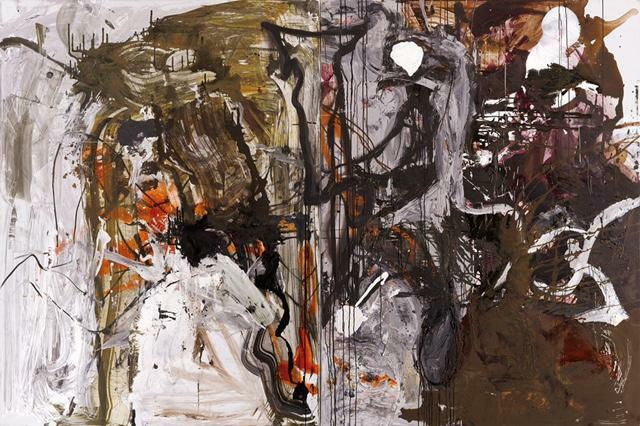 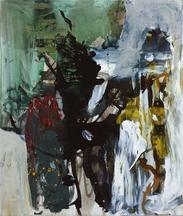 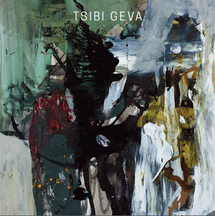 Tsibi Geva - Abstract Diptych from Albertz Benda on Vimeo. 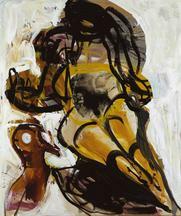 Tsibi Geva - 2015 Venice Biennale Triptych from Albertz Benda on Vimeo. 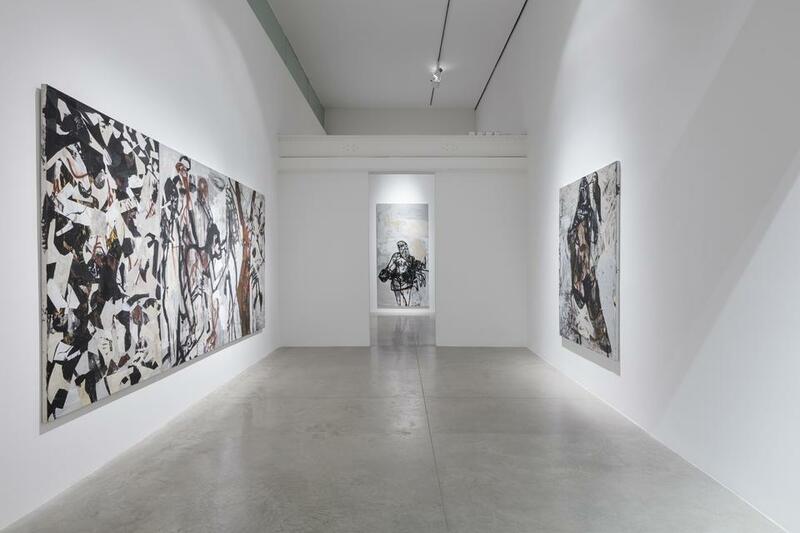 Albertz Benda is pleased to present Tsibi Geva: Jolt, one of Israel’s most critically acclaimed artists, on view from October 12 – November 18, 2017. 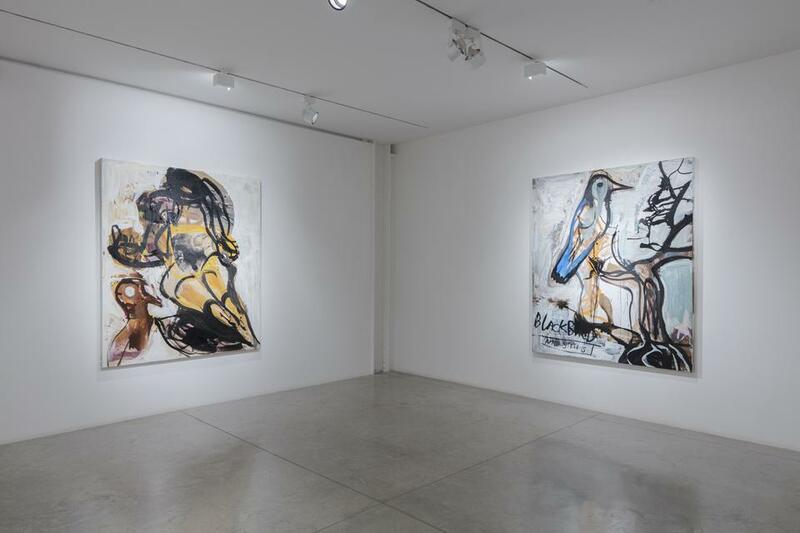 Having shown in New York with Annina Nosei for the past two decades, Tsibi Geva: Jolt will be the artist’s first solo exhibition at Albertz Benda, featuring a new body of work and selected pieces from his solo presentation in the Israeli Pavilion at the 2015 Venice Biennale. 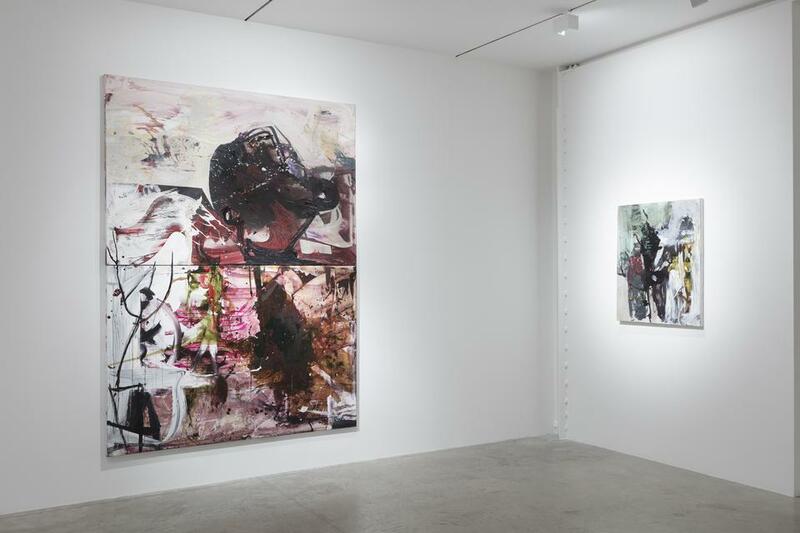 In his latest series of paintings, Geva addresses concepts such as migration, instability and disintegration from a sociopolitical perspective and within the medium of painting itself. 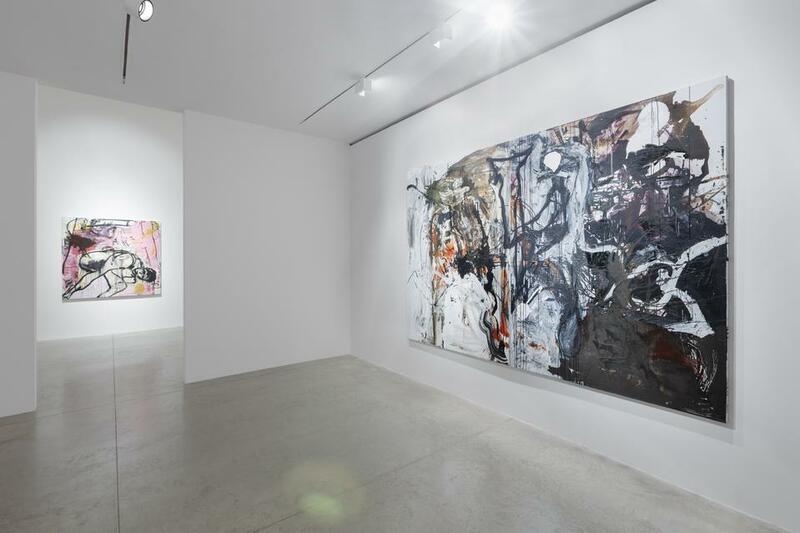 The layers of paint on the canvas alternately reveal and obscure fragments of bodies, architectural structures, and natural elements. 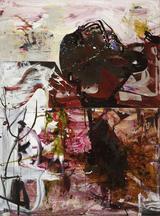 These layered compositions confront the physicality of the materials while reflecting personal and cultural discourses. 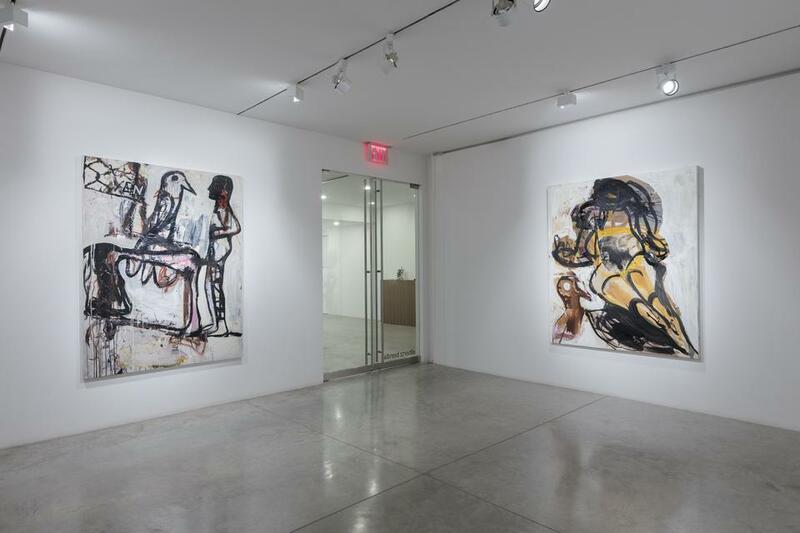 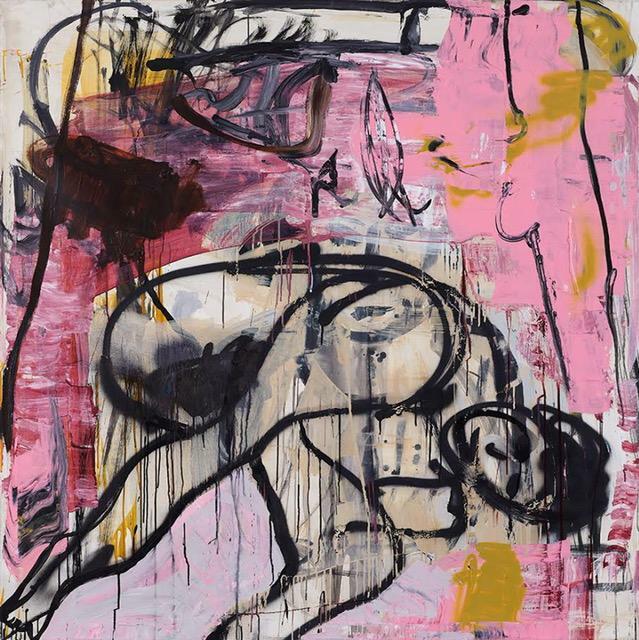 Addressing many of the same questions as his abstract works, Geva’s recent figurative work introduces an increasingly sensual aspect. Untitled 2016 depicts a figure curled into a fetal position, whose gender and expression is ambiguous. The subject is at once vulnerable yet possibly challenging the viewer; the pink swathes of paint throughout the composition can either be energizing or lurid. 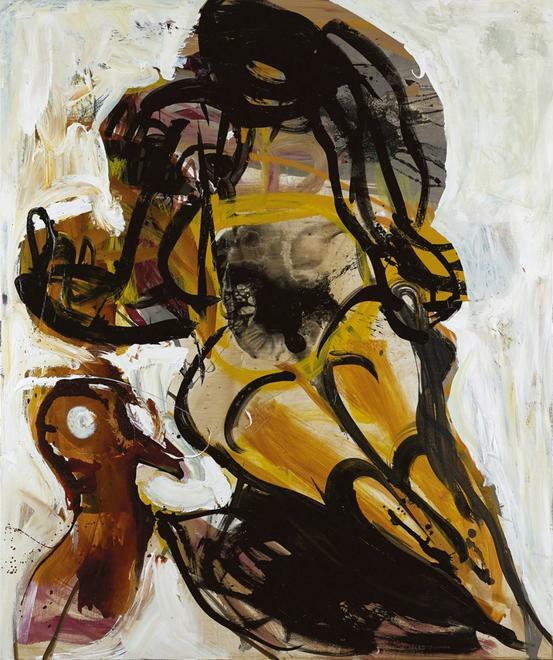 “An image may be charged with cultural or symbolic meaning and completely devoid of such meaning at the same time, and this dialectic is fundamental to my work,” says Geva.